Lounge chair. Oval tubular steel frame with polished chrome finish or black lacquer. 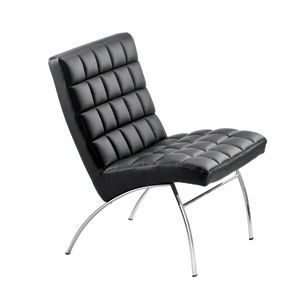 Polyurethane foam upholstered in fabric or leather.